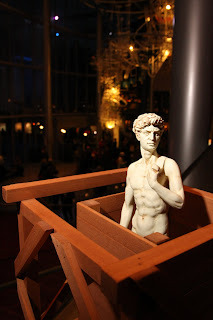 You may have noticed small statues of Michelangelo’s David sculpture around Seattle over the past few weeks—sightseeing, enjoying a night on the town, and even hanging out at Seattle Opera. 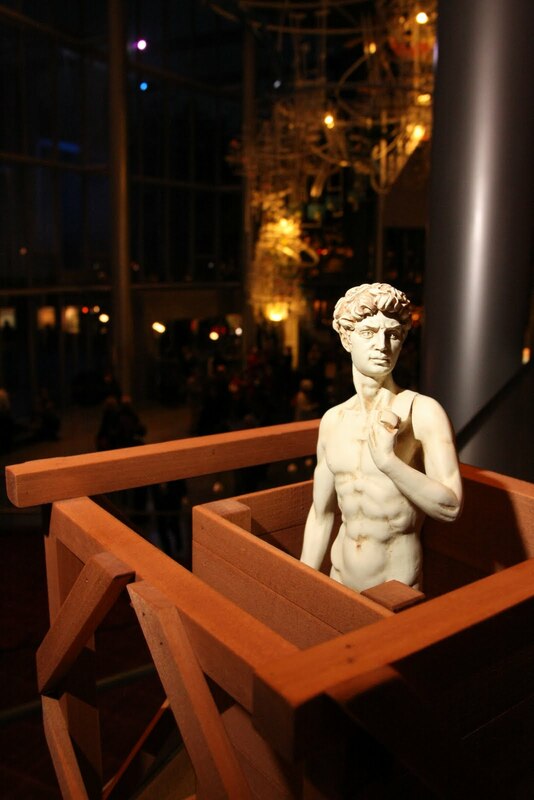 Seattle Art Museum launched a promotion in October for its exhibit of Michelangelo sketches, among which is a sketch of his famous David statue being carted around Florence in a wooden crate. SAM made a dozen replicas of the statue which have been distributed around town. When Little David came to visit Seattle Opera, he received a real behind-the-scenes glimpse of the company. He bought a ticket to La Traviata (the creation of another Italian master), he investigated the stunning costumes, he hung out in Francesco Demuro’s dressing room during the singer's make-up call, he joined Violetta’s party onstage, and - inspired by what he’d seen - he even requested an audition with Speight Jenkins. You can check out all of Little David's Seattle adventures and learn more about how he got here over on SAM's blog. Have YOU seen him?